Make the Sapera your own. 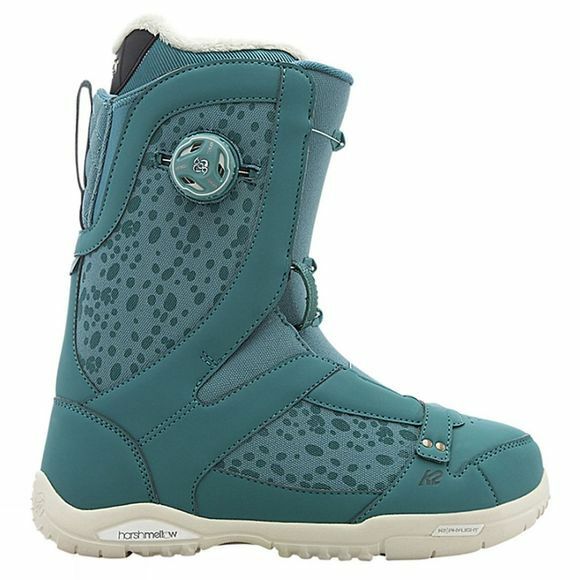 The K2 Sapera snowboard boot is the ultimate in customised fit, comfort, and support. An ultralight, all-phylon outsole equipped with shock-absorbing Harshmellow tech provides a solid foundation for the all-around comfortable and stylish K2 Sapera snowboarding boot.